New wording is shown in bold, underscore and deletions by red, strikethrough. Where new rules have been introduced re-numbering thereafter will be necessary. Where no reference is made to a rule the existing rule within the FINA Handbook 2015-2017 together with any subsequent reference to those rules by HomeCountries is still valid. Where Automatic Officiating Equipment is not available, such equipment must be replaced by a chief timekeeper, three (3) one (1) timekeeper per lane and two (2) one (1) additional timekeeper. A Chief Finish Judge and finish judges may be used when Automatic Equipment and /or three (3) digital watches per lane are not used. The supervisor shall supervise the Automatic timing operation including the review of backup timing cameras Video Timing. The supervisor may review the video used for backup timing to confirm early take-off. One inspector of turns shall be assigned to each lane at each end of the pool, to ensure swimmers comply with the relevant rules after the start, for each turn and at the finish. SW 2.6.2 Each inspector of turns shall ensure swimmers comply with the relevant rules for turning commencing from the beginning of the last arm stroke before touching and ending with the completion of the first arm stroke after turning. The inspector of turns at the starting end of the pool, shall ensure swimmers comply with the relevant rules from the start and ending with the completion of the first arm stroke. The inspector of turns at the finish end shall also ensure that the swimmers finish their race according to the current rules. Jurisdiction for the inspector of turns at the start end commences from the start signal until the completion of the first arm stroke, except in Breaststroke where it shall be the second arm stroke. For each turn, jurisdiction for the inspector of turns commences from the beginning of the last arm stroke before touching and ending with the completion of the first arm stroke after the turn, except in Breaststroke where it shall be the second arm stroke. Jurisdiction for the inspector of turns at the Finish commences from the beginning of the last arm stroke before touching. Inspectors of turns shall report to the Referee any violation on signed cards detailing the event, lane number, and the infraction. infringement delivered to the chief inspector of turns who shall immediately convey the report to the referee. Unless a video timing backup system is used, it may be necessary to use the full complement of timekeepers even when Automatic Officiating Equipment is used. For heats, semi-finals and finals, swimmers must shall report to the First Call Room no later than 20 minutes, at a time determined by the event management prior to the start of their event. After inspection, swimmers proceed to the final call-room. A swimmer starting before the starting signal has been given, shall be disqualified. If the starting signal sounds before the disqualification is declared, the race shall continue and the swimmer or swimmers shall be disqualified upon completion of the race.If the disqualification is declared before the starting signal, the signal shall not be given, but the remaining swimmers shall be called back and start again. The Referee repeats the starting procedure beginning with the long whistle (second one for Backstroke) as per SW2.1.5. After all swimmers are “stationary” (SW 4.1), any swimmer initiating a start before the signal may be disqualified when such movement if observed and confirmed by both the starter and referee (SW 2.1.6). When video timing is available (FR 4.7.3), it may be used to verify the disqualification. When a backstroke ledge is being used, each inspector at the starting end shall install and remove the ledge after the start. At each turn and at the finish of the race, the touch shall be made with both hands separated andsimultaneously at, above, or below the water level. At the last stroke before the turn and at the finish an arm stroke not followed by a leg kick is permitted. The head may be submerged after the last arm pull prior to the touch, provided it breaks the surface of the water at some point during the last complete or incomplete cycle preceding the touch. “Separated” means that the hands cannot be stacked one on top of the other. It is not necessary to see space between the hands. Incidental contact at the fingers is not a concern. When Automatic Equipment is used, the results shall be recorded only to 1/100 of a second. When timing to 1/1000 of a second is available, the third digit shall not be recorded or used to determine time or placement. In the event of equal times, all swimmers who have recorded the same time at 1/100 of a second shall be accorded the same placing. Times displayed on the electronic scoreboard should show only to 1/100 of a second. World Records and World Junior Records will be accepted only when times are reported recorded by Automatic Officiating Equipment, or Semi-Automatic Officiating Equipment in the case of Automatic Officiating Equipment system malfunction. Worlds Records and World Junior Records can be established only in fresh water water with less than 3 gr/litre of salt. No World Records will be recognized in any kind of sea or ocean water. When Automatic Officiating Equipment (See FR 4) is used in any competition, the placing and times so determined and relay take-offs judged by such Equipment shall have precedence over the timekeepers and inspectors of turns. (e) within thirty (30) minutes following the conclusion of the respective event or match. Advertising for tobacco, alcohol or sports-related betting is not allowed. Link to new guidance issued by the ASA Swimming Management Group in relation to swimsuits for individuals who as a result of either their religious beliefs or a pre-existing medical condition would like to wear a swimsuit which would otherwise be considered “illegal” at a competitive swimming event. This guidance now applies to all levels of ASA licensed meet (1,2,3 and 4) and all ASA National Events (Summer, Winter, County Team and Masters Championships). The Contemporary Issues: Officials Awareness module is now available online, as an alternative to a face to face workshop, and will when completed count towards renewal of an officials' licence. The cost of the CPD is £5 per candidate and it is administered by the IoS. Cumbria ASA will reimburse this cost for officials who renew their licences. Use the member options to enable you to see additional information and choose if you wish others to be able to view any additional information. You should be able to see all your qualifications and what mandatory CPD courses such as the FINA Rules Update and Contemporary Issues module you have attended in order to maintain your official's licence. If you experience any problems logging-in to view your qualifications this is most likely because the email address held on the central database does not match the address you are currently using. The email address used by the membership check is the one submitted via your club registration officer included with the the annual return. It may or may not be the same one you have chosen to receive swimming officials news or other swimming publications. If you change your email address or move house please ensure that you advise your club registration officer so that your details can be updated. Officials are licensed for the highest qualification they have achieved. However, the role of the Starter is the exception to the rule. If you have qualified as a Starter/Judge 2S then you need to ensure that you have worked as a Starter on at least two occasions during the four year period of your licence if you wish to continue to be a licensed Starter. Approximately 2 months before your licence expires you will receive a reminder together with the renewal form. This form will need to be completed and returned together with a new photograph. You can submit your photograph online. 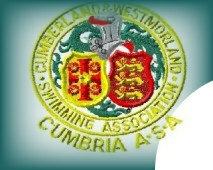 There is a renewal fee however Cumbria has agreed to pay licensing fees via ASA North West Region. As mentioned above you will need to ensure that you have undertaken the 2013 FINA Rules Update and the Contemporary Issues module before you can renew your licence. Attendance at these modules is being recorded centrally and will be checked before renewal can take place. Following the renewal process a new licence card will be issued. This will be valid for 4 years from the date at which your current licence expires. Changes to the FINA Rules that were agreed at the recent Special Congress in Doha - follow this link. These will be implemented by British Swimming with effect from 1st January 2015. FINA have published further details of the Backstroke Start Device mentioned in FR2.7. Follow this link to the FINA website. Click here for the September 2013 FINA Rules update presentation. FINA have issued further guidance on the interpretation of "separated hands" as mentioned in SW 7.6 (Breaststroke) and SW 8.4 (Butterfly). "Separated" means that the hands cannot be stacked one on top of the other. It is not necessary to see space between the hands. Incidental contact at the fingers is not a concern. Follow this link to see pictorial examples of the interpretation. At the turn of the beginning of 2012 all technical officials should have been contacted by the ASA to ask how they wanted their personal details retained and disseminated. This gave the ASA information about who is willing to allow their details to be seen on web sites and in hand books, or not to be disseminated further. In an effort to provide meet organisers with the access to the most up to date and accurate ‘officials lists’, and to help meet organisers to source officials for a meet, a web based e-mail invite system has been developed in the North West Region. During the testing phase all the officials in the North West should have received an e-mail explaining the system and how to log on etc. Although over 800 emails were sent out to listed officials, about 10% bounced due to invalid or incorrect e-mail addresses; it is believed that most of these are down to typo's or people changing e-mail addresses. Any official who may not have received an e-mail explaining the system can contact Mark Davies via officials@swimcheshire.org stating their membership number, name and correct/current e-mail address. The system will then be updated. To log on: Your user name is your ASA Membership Number. Click on the forgotten password button and you will be e-mailed (to the address on file) a password, which can then be changed if you wish. When a meet organiser needs to source technical officials for a meet, be that at county or club level, he/she can use the site to enter the meet details, mileage/expenses rates, uniform requirements etc. After these parameters have been set they can then select the individuals that they wish to invite to the meet based on distance from the venue, qualification (Timekeeper, J1, J2, J2(S) or Referee), licensed or unlicensed and so on. Having made their selection the system will then generate an e-mail and send it to the selected recipients, inviting them to the event. One of the major features of this system is that at no time during this process will the personal details of the technical official(s) be visible to any meet organiser, all they will be able to see is name, qualification, licensed or not and distance they live from the venue. Anyone who has opted out of having their details disseminated as a result of their choices in reply to the ASA letter, or license application form, will NOT be included in the data base that drives this system. As replies are received (see below) the meet organiser will be able to see who has replied and who hasn’t. Once logged on, you will then see the meet(s) that you have been invited to. In order to reply to the organiser for that meet, you need to ‘set your status’, this is done by selecting your availability option from the drop down box and clicking on the ‘set my status’ button. If the meet is over a number of days or has multiple sessions then you may need to set your status for each. If your circumstances change prior to the meet then you can change your status using the edit button at the side of your meets list. Once you have done this, that’s it! In order that you can have a go, a dummy meet has been set up, so once you are logged in you will have at least one meet to play with and see what is displayed. The meet is called Example Meet and is on Christmas Day !! · firstly your support; it’s new so there will be the inevitable settling in period whilst people get used to how it works. It is hoped that once it’s up and fully running and with everyone’s support, the life of the organiser will be a great deal simpler. · secondly the system needs to know you current e-mail address, so please ensure that you have supplied your latest address. You can update your details including preferences about visibility to gala organizers by clicking on the “Edit yourname Details” link at the top right hand side of the site. Please note: in order to function the website only requires your name, postcode and email address, if you wish to provide emergency contact details and your contact phone numbers that would be appreciated. There is no need to provide data of birth or postal address. Question: Do officials require a CRB check for their role? Answer: A list of roles within swimming and their risk category was provided in Wavepower 2009/11, section 2, page 41. All the roles listed as risk grade 1 (high risk) require a mandatory CRB enhanced disclosure in accordance with the ASA Child Safeguarding Policy and Procedures. The roles listed as risk grade 2 (medium risk) include the Technical Official roles such as a timekeeper or referee. Medium risk specifies that level 2 roles may give the possible opportunity for one to one contact with a child or groups of children capable of building a relationship of trust. In accordance with CRB guidance most officials will not require a CRB check. This is because officials are generally not required in their role to talk to children and young people whilst they are officiating. If a child approaches an official to ask a question or request assistance they should be directed to the appropriate coach, poolside helper or chaperone. If a referee needs to speak to a child this should always be done through or with the child's coach. Therefore the opportunity for the official to have one to one or group contact is not present. Officials may in some cases have to use the same changing rooms as the children and young people to change into their "whites" and shoes. An official does not require a CRB check due to the fact that they may have to use the same changing facilities as the children and young people. In many circumstances officials will have changed into their "whites" prior to arrival at the pool or the children and young people will have vacated the changing rooms for warm-up sessions prior to the arrival of officials and some venues may also be able to provide a separate room for officials if this is required. The ASA does have a Changing Room Policy and clubs should adhere to this guidance when running events or general club sessions. In some cases officials may have a dual role within a club e.g. an official at a club timed training session/championship may not only be officiating they may also be communicating with the children on their performance overlapping into a poolside helper role. If an official is acting beyond their role the Welfare Officer will need to assess whether the additional duties bring the official into a risk grade 1 requiring a mandatory CRB check. If Welfare Officers are unsure whether a CRB is required they can contact the CRB Coordinator for clarification.